In a recent posting on this blog, I wrote about the Chinese government’s attempt to exert more control over state owned enterprises (SOEs). That led to some questions about how SOEs were actually governed. 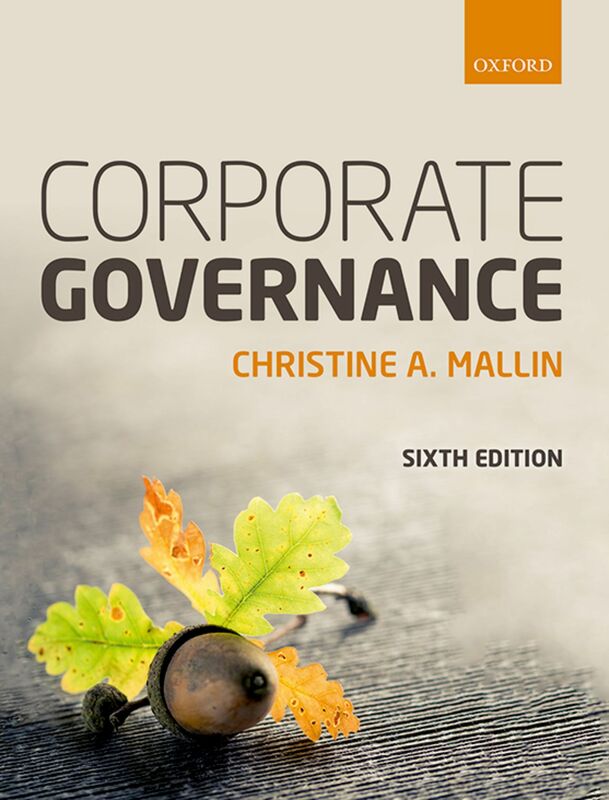 Since I am currently involved in an ongoing study of corporate governance in China with a Hong Kong colleague, Dr Gregg Li, a brief summary of the evolution of corporate governance ‘with a Chinese face’ may be of interest. The People’s Republic of China (PRC) was established in 1949, by Mao Tse Tung, following the defeat of the Nationalist Army under Chiang Kai Shek and its retreat to Taiwan. Mao founded the PRC and remained Chairman of the Chinese Communist Party from 1949 until his death in 1976. Over that period, the state proclaimed ownership of the means of production, prohibited private property, and banned incorporated companies. In 1958, Chairman Mao initiated the Great Leap Forward, relocating millions of farmers, peasants, and city workers. Massive economic dislocation and famine resulted. The Cultural Revolution began in 1966 and lasted a decade. Communes were reorganized and state-owned enterprises (SOEs) were created, most relying on state subsidies. In the 1970s, Mao’s successor as paramount leader, Deng Xiao Ping, introduced a pragmatic form of market economy, whilst still maintaining an orientation towards a centralized communist state. The industrial SOEs, which were large bureaucracies, continued to receive their production and distribution orders from state planners. Employees of the SOEs received housing, medical care, and schooling for their children. Deng stood down in 1989, and is now recognized as the initiator of the changes that led to the subsequent incredible economic growth up to the present day. In 1988, the State Council of the PRC, advised by experts from the Organization for Economic Co-operation and Development (OECD), produced a set of corporate governance directives for SOE reform. In September 1999, the Fourth Plenary Session of the 15th Chinese Communist Party’s Central Committee took a vital decision on enterprise reform, in what was termed a ‘strategic adjustment’ of the state sector, it was agreed that that ‘the state should be withdrawing from what should be withdrawn’. Interestingly, corporate governance was recognized as being at the core of the modern enterprise system. a ‘company limited by shares’, in other words a joint stock company (JSC) with some similarities to public companies in other jurisdictions. Both types of company were defined as legal persons with shareholder liability for corporate debt limited, and with property rights as well as civil rights and duties. Companies were given autonomy to run their businesses according to the market in order, as the Companies’ Act said: ‘to raise economic efficiency, improve labour productivity, and preserve and increase the value of assets.’ Companies were also called on by the new law ‘to conduct their business activities abiding by the law and by business ethics, strengthen the construction of socialist spiritual civilization and accept the supervision of the government and the public.’ Companies were allowed to invest in other companies and to create groups of companies with subsidiaries and branches. China’s corporate governance rules were influenced by Western experience, including the advice from the OECD, drawing principally from practice, pioneered in countries including the USA, the UK, Germany, and South Africa. Typically, these countries are democracies with independent judiciaries. In developing and emerging economies, including Russia, Latin American countries and India, corporate governance still tends to be emergent, with the state playing a more significant role, and corruption sometimes being endemic. China stands out as a case on its own. Government is an oligarchy, exercising considerable central control. The PRC has developed an innovative corporate governance regime, and in the process became one of the worlds leading economies. The SOEs include vast companies in the oil, telecoms, steel, finance, and other major sectors. In some cases, a minority of their shares are quoted on stock exchanges in Shanghai, Shenzen, or Hong Kong, with a few being floated in London or New York. Although influenced by Western experience, the governance of SOEs is unique. Separate boards of supervisors and boards of directors were formed, partly reflecting the German two-tier board system, but with independent directors on the board of directors, as in the USA and UK. For decades governance was left to companies, under the overall supervision of the State-Owned Assets Supervision and Administration Commission (SASAC) and the China Securities Regulatory Commission (CSRC). State involvement at a higher level tended to be distant. Some felt that the Communist Party’s leadership had been undermined. But central authorities have recently sought to reassert Party influence over the SOEs, as mentioned in a recent blog. Although SOEs remain central to China’s economy, other types of enterprise evolved with diverse ownership structures and governance practices. Many of these firms are family businesses but others are run as village or township entities. Although Hong Kong is now part of the PRC, the governance of companies there reflects a quite different story. Since the mid-nineteenth century, Hong Kong had been a British Protectorate under a lease from Mainland China. That lease ended In 1997 and Britain transferred its rights over Hong Kong to the PRC, which deemed it a Special Administrative Region of China. Under the British influence, Hong Kong developed its own legislature, an independent judiciary based on UK-style common law, and its own currency linked to the US$. The Hong Kong Stock Exchange began life in 1891, and now oversees the Hong Kong Corporate Governance Code. Institutions for company registration and regulation were created, and strong professions were formed – legal, audit, accountancy, finance, and company secretarial. This infrastructure and these institutions remained after the 1997 handover; as the Joint Agreement between the PR: and the UK put it – ‘one country two systems.’ But as the business worlds of China and Hong Kong grow together, some Hong Kong institutions are coming under China’s influence.